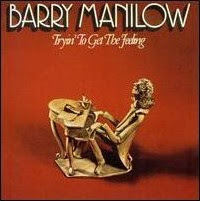 I admit it: I’m a Barry Manilow fan. Yup, ever since high school when Donna Joselson first introduced me to Tryin’ to Get the Feeling, the album with the sculpted piano player on the red cover, I’ve been a fan of this 70s crooner who just keeps on writing the songs. This One’s for You and Greatest Hits soon joined the vinyl disks that went around and around and around on the little phonograph in my room. Even now (no pun intended! ), all these years later, I sometimes find myself singing along (yes, I freely admit this) to Mandy, Weekend in New England, Can’t Smile Without You and I Write the Songs when they pop up in my iTunes player. Needless to say, therefore, I was maddened by an article in today’s New York Times about Colorado Judge Paul Sacco, who regularly sentences noise ordinance violators to one-hour, high volume Barry Manilow listening sessions. Judge Sacco: sign me up!